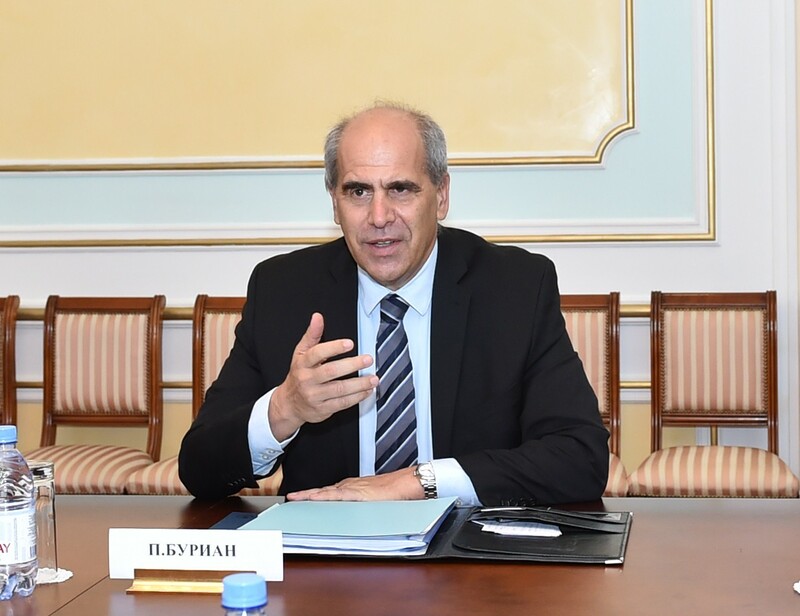 ASTANA – On a recent visit to Astana, Peter Burian, European Union Special Representative for Central Asia, spoke with The Astana Times Oct. 30 about the key priorities of the EU’s Central Asia strategy, its “balancing power” and security transformation processes. This year there were positive changes in relations between Central Asian countries. What is your opinion about the prospects of regional cooperation in Central Asia? We welcome the new atmosphere in the region conducive to regional cooperation and we see it in concrete areas where even the most sensitive issues are tackled, discussed and addressed through a very constructive dialogue. Uzbekistan and Kyrgyzstan managed to sign an agreement on delineation and demarcation of 85 percent of the border. Tajikistan and Kyrgyzstan are discussing with downstream countries certain joint projects even in those areas where previously they had certain disagreements. Kazakhstan and Uzbekistan managed to increase bilateral trade by almost 30 percent within a couple of months. We welcome these developments and we know how important regional and neighbourly cooperation are for stability. Central Asia has the potential to be a major gateway between Europe and Asia with a young, growing market and significant potential for investment and trade. That potential can be fully used only when the countries of the region work together, improving connectivity between them, thus removing barriers and obstacles for regional trade and addressing challenges together. Establishing this base with common rules increasing regulatory compatibility, standards and rules-based space for trade and investment is important. This year marks the 10th anniversary of the adoption of the EU Strategy for Central Asia. How would you evaluate the results of EU activities in the region over the past decade? The EU adopted the most comprehensive and structured strategy for regional and interregional cooperation in 2007. We have already registered major progress in strengthening the relationship between the EU and Central Asia. The EU has played an important role in the region as the biggest donor and allocated more than 1.5 billion euros (US$1.7 billion) for implementing various regional and bilateral programmes. The EU has also played an important role as a balancing power in the region, also establishing and giving the opportunity to our partners to diversify the relationship. We managed to move EU-Kazakhstan relations to even a higher level by concluding an Enhanced Partnership and Cooperation Agreement. This is a new generation of our partnership and cooperation agreements. Now Kyrgyzstan and Uzbekistan have expressed their interest in starting the process. We see greater understanding of our partners that promoting topics and values like rule of law, good governance or human rights is not a Western agenda. These principles are recognised by our partners and universally recognised as key for gaining their rightful place in the world economy, global trade and transport as well. The EU-Central Asia meeting of foreign ministers is to be held in Samarkand Nov. 10. What are your expectations for this event? Are there any new initiatives that the EU intends to offer the Central Asian countries there? After an update of the strategy, new dynamism appeared in our dialogue and cooperation. Kazakhstan played an important role bringing new elements to the updated strategy. Our partners feel that they are shapers of this process and owners of this process. It’s very important. During the previous two meetings our partners highlighted the importance of increasing economic cooperation and investment in the region coming from the EU. And we prepare several initiatives in this regard based again on the interests of our partners. We are preparing to strengthen our regional investment instruments. There is the Investment Facility for Central Asia (IFCA) aimed at supporting private sector development, especially small and medium-sized enterprises, and focusing on new promising areas including renewable energy and the agriculture sector. There’s also the growing activity of the European Investment Bank (EIB). Now they are developing certain projects of connectivity including CASA-1000, followed by digital CASA, which is a project supported by the World Bank that will be also looking to increase digital connectivity. We also want to use our existing platforms for supporting sustainable development, but focusing on strengthening investment instruments is something quite new. We’ll be focusing within these initiatives and beyond on job creation in the region, setting up industrial promotion services to help new enterprises, especially small and medium ones, to start their activities and to support business incubation. Digital connectivity and economy will play an enormously important role. Then we’ll be focusing on traditional areas of cooperation. We have three platforms for regional cooperation – the rule of law, educational initiatives and water initiatives. Cooperation between scientific and educational institutions will create good ground for universities in Central Asia to move to high standards of quality and we see that this process is bringing a concrete approach. We’ll have some discussion on how to use the rule of law platform. We already have established an environmental remediation account and plan for addressing problems of uranium tailings. We have put 16 million euros (US$18.6 billion) into this account and will be putting additional 15 million euros (US$17.4 billion) but we are also inviting other donors to look to this particular problem. We will discuss disaster reduction and disaster mitigation preparedness. What are the main priorities of cooperation between the EU and Central Asia in the short and medium term? Is Afghanistan and the current situation in that country included in these plans? The prevention of violent extremism is an important priority. We will use our BOMCA programme and high-level political and security dialogue, where also, based on the desire of our partners, we have included Afghanistan when discussing security threats. Of course, it’s important to have a country like Afghanistan on board. I’m pleased to note that countries of the region now more and more are looking to Afghanistan not only as a security threat but also as an opportunity for future connectivity. They see their responsibility for contributing to the stabilisation of Afghanistan, which is very much welcomed. The second very important priority is education. We have allocated 117 million euros (US$136 billion) for the Erasmus Mundus Plus programme. Kazakhstan is the most active participant in this programme. I see a growing interest among our students and teachers in coming to the region. Climate change is also important priority. We believe it’s necessary to develop regional cooperation and responsible management of natural resources. The share of young people is quite high in Central Asian countries’ populations. Are there any specific programmes through which the EU could assist with increasing their access to quality education? People-to-people contacts are important. The young generation being able to travel and meet their counterparts in Europe is an important element of this. We would like to provide opportunities for young people to study in Europe. We, of course, are working on certain improvement and facilitation of the visa regime. It is a process which takes some time. We also want to really make sure that all these young people are interested in staying in their countries and contributing to the development of those countries. There are different migration processes happening in Europe and it’s important to manage those migration processes for the benefit of the development of the region. This young population can be an important driver of economic development. But if not given the right opportunities it can become a source of problems in terms of radicalisation, illegal migration and so on. It’s worth investing in a young generation. We welcome this important priority of the Kazakh government through Bolashak and other programmes. Certainly we see a greater space for making sure that young generation meet with each other exchange experiences and this is something we also want to focus on in the future. How would you describe relations between the EU and Central Asia 10 years from now? We have good prospects for a strong relationship. I’m pleased that we have created a very solid foundation based on common interest and shared values. I hope this foundation is further strengthened. I see the potential of the region in its strategic location being a link between Europe and Asia. 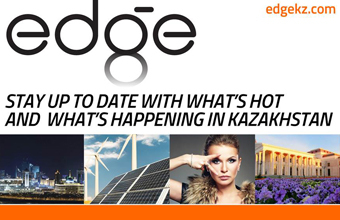 I see already a growing potential for Kazakh investors to be active in the European market. Kazakhstan is moving very comprehensively in all key areas of the reform process, provided all these reforms are fully implemented. The EU doesn’t have to have and doesn’t want to have any exclusive kind of space, but rather share the cooperation with others, avoiding geopolitical games in the region. And I hope that the regional and interregional cooperation helps the region assume the rightful position it deserves.